I love this cover! The world map will stretch to the back of the book, and I think it’s perfect that China is on one side, and the U.S. is on the other. The puzzle pieces look great and are an important theme for James throughout the story. I can’t wait for you to read the book. 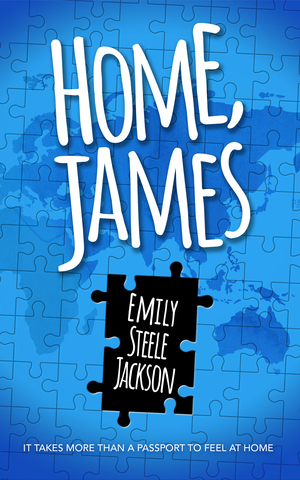 HOME, JAMES will be released in just four more days, on February 10, 2018 on Amazon. Subscribe to get a notification email with a link when the book comes out! Previous Post Launch Team, Assemble! Next Post HOME, JAMES is Here! I can’t wait to read it!I’mSO proud of you for writing this!